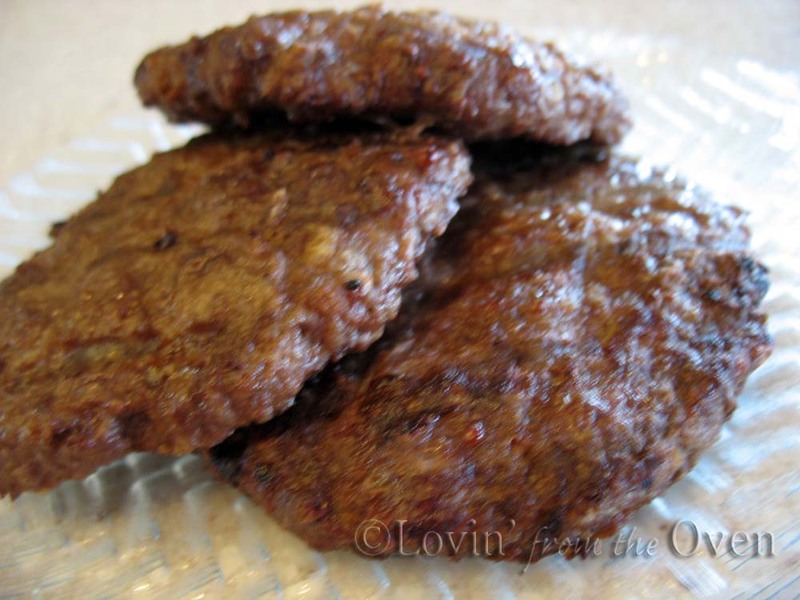 May is National Hamburger month ~ this homemade hamburger patty recipe is the most requested recipe that I have to date. This is my trusty Tupperware hamburger press. You can't find them anymore, but Cuisinart makes a nifty one that you can even use to 'stuff' your patty. If you don't have one, that's okay. 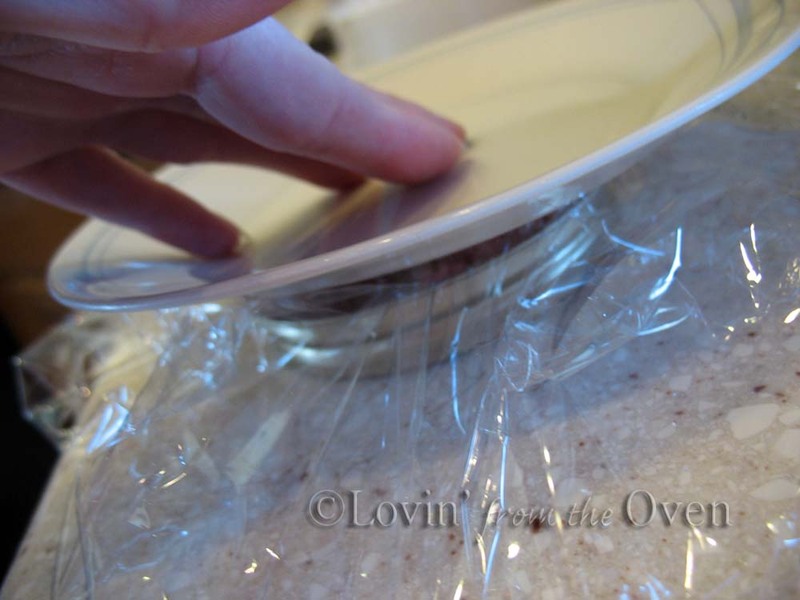 If you have a large 3 1/2" canning lid, line it with plastic wrap. and smoosh it with a flat plate. 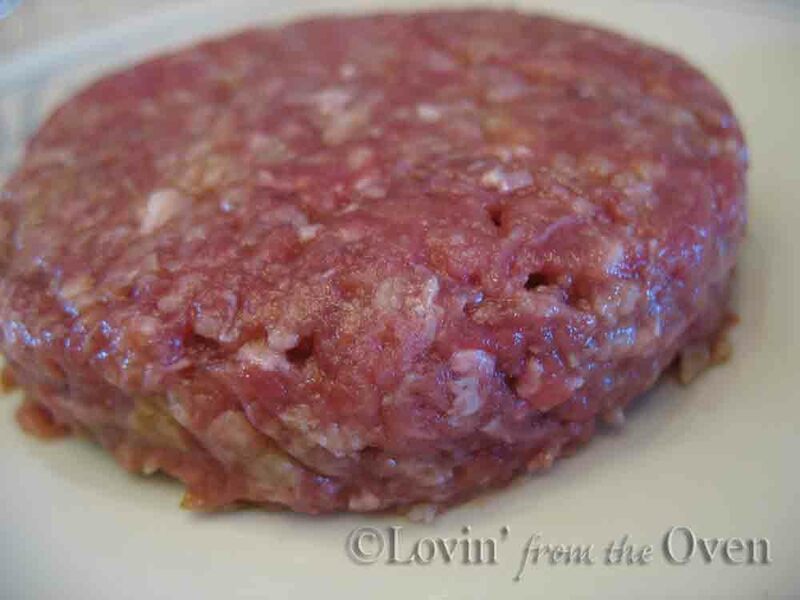 *tip* handling the raw hamburger too much will make your meat tough. Peel off the plastic and you've got a perfect 1/4 pound hamburger patty! put hamburger patties on top. 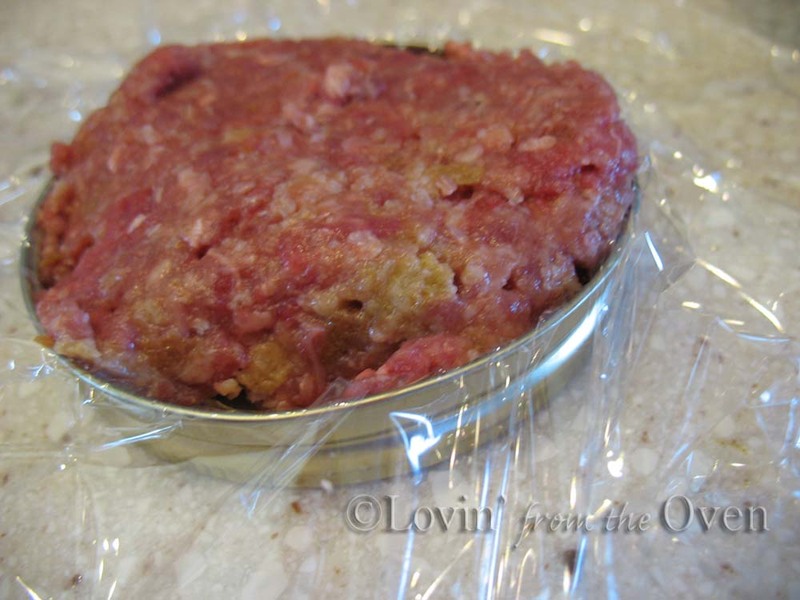 Plastic wrap on top, more hamburger patties and repeat, with plastic wrap between layers. Cover the last layer of hamburger with a sheet of plastic wrap. 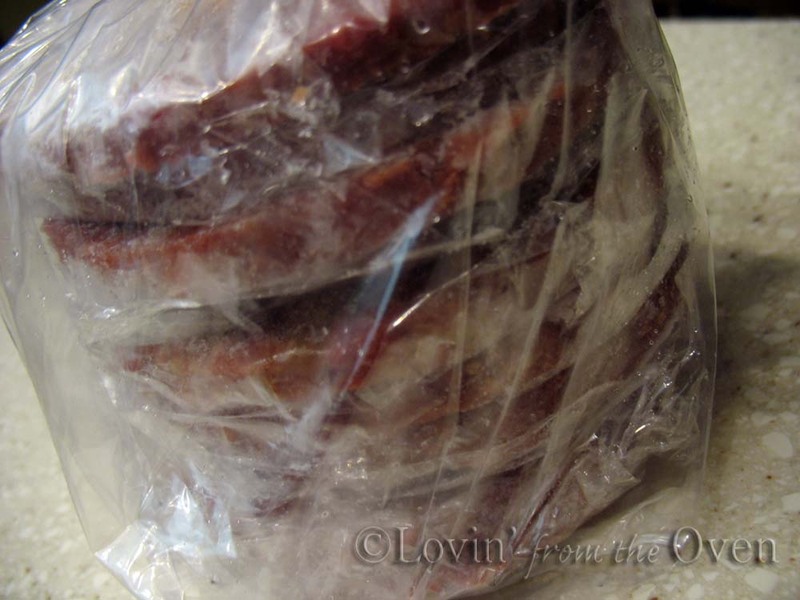 Stack the hamburgers and put them into a freezer safe plastic bag. 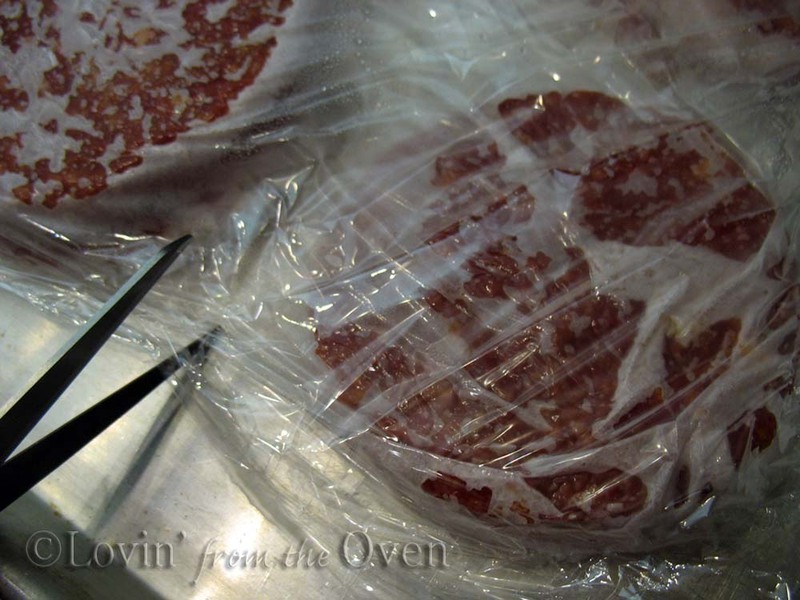 When ready to grill, Peel the plastic wrap off the frozen patty and place directly onto the heated grill. Cook for the same amount of time...5-6 minutes per side. I actually prefer cooking a frozen patty on the grill over a fresh one - It holds together much better and doesn't fall apart. In a large mixing bowl, combine hamburger, egg and milk. Stir in bread crumbs, onion, mustard, garlic, salt and pepper. Mix well. 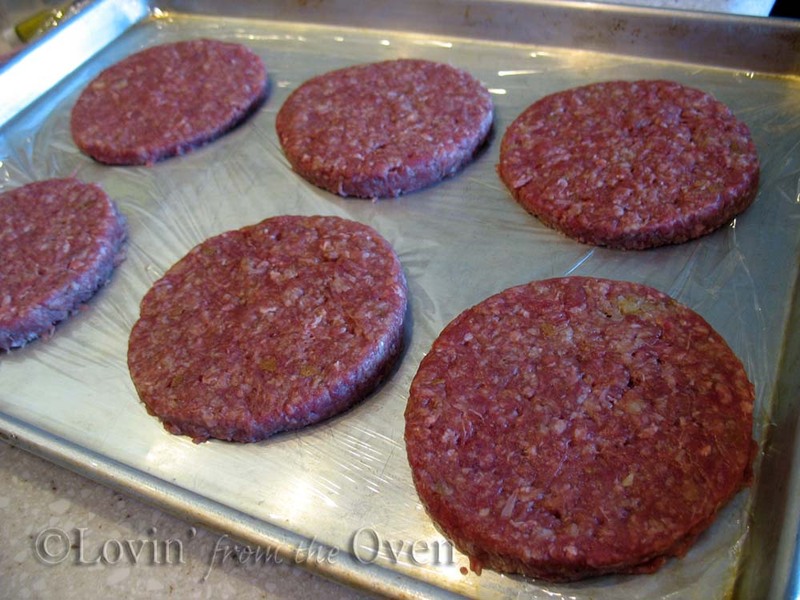 Shape meat mixture into four 3/4" patties or six 1/2" patties. Grill or broil 3-4" from flame/heat for 5-6 minutes, turn once*, and broil for an additional 5-6 minutes. *If you try to turn your patty before 5 minutes, you risk breaking it apart. Also, turning it only once ensures that it remains juicy. Great freezing tips! Sound delicious and our rosette buns are most impressive. You are such a clever woman, Frieda. 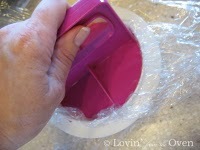 I can't find my tupperware hamburger press... it's somewhere. This is a great substitute. I love burgers! I just read the recipe for your hamburgers, and was sad that the hamburger press you recommended is sold out. Thanks for the handy tip!